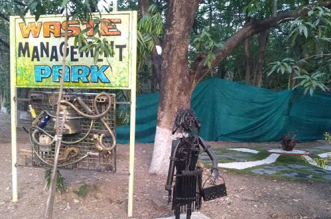 As an industry, waste management is one of the most underdeveloped and ill-monitored sectors in India. Sanitation workers and garbage collectors across India have complained of being underpaid, discriminated against and unsafe working conditions. 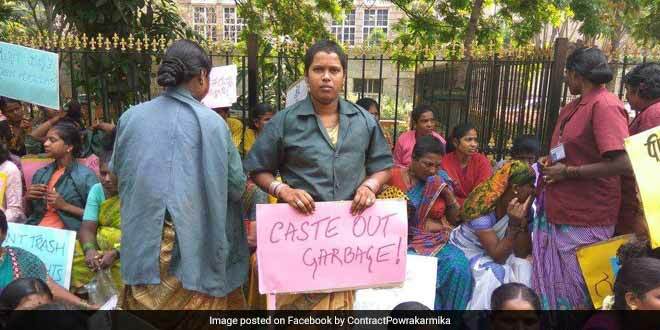 On August 28, waste collection in Bengaluru came to a standstill for a day and a half as the city’s 20,000 sanitation workers (powrakarmikas) went on a 36-hour protest, the second time in two months, over demand of non-payment of wages. Despite the Swachh Bharat Abhiyan focusing extensively on waste management, the conditions of waste workers has not improved much. The recent protest by waste workers in Bengaluru was a result of non-payment of dues for the past three months and contractors refusing to grant them leave. The Bruhat Bengaluru Mahanagara Palike (BBMP) in July 2017 decided to take over the city’s garbage collection and is in the process of gradually taking over collection of garbage from private contractors who were earlier authorised assign workers in specific areas for garbage collection. The workers allege that since August 25 contractors have asked garbage collectors to return to their homes and not work. The workers have not been given their due payments in the last three months, and have been denied sick leaves by several contractors. When asked about payment, many workers have been threatened to be fired by contractors. The municipal corporation must intervene as it is impossible to continue working under such inhumane conditions, said S. Muthyala, President, BBMP Contract Pourakarmika Association. BBMP’s behaviour towards its waste workers has always been mired in controversy. 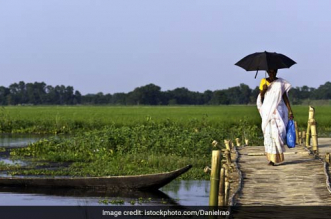 In March, on the occasion of Women’s Day, thousands of women waste workers went on strike to demand payment of wages on time, and demanded an end to the caste and gender discrimination against them. The BBMP had then stated that the wages of all waste workers was increased to Rs 17,000 from Rs 5,000 with effect from January 2017 But the workers’ union has maintained that their wages have remained Rs 12,000 and the increment has not been implemented. The recent strike however, highlights the old problem of contractors playing the spoilsport and the BBMP’s inability to transfer wages directly to the workers. The workers allege that on several instances, contractors withheld wages from them and despite repeated requests to the civic body, BBMP not taken action against them. Recent events have created further rift between the BBMP and contractors, and waste workers have to bear the brunt of it. For instance, the Service Tax Commissionerate recently served notices worth Rs 200 crore to several contractors in Bengaluru. The BBMP states that this is due to a miscommunication between the civic body and the Tax authorities as waste management is supposedly tax exempt. Due to the notice, several contractors withheld wages from workers, resulting in them going on strike. I have met senior tax officials and they have assured that the miscommunication would be looked into. Solid waste management is tax exempt. The contractors can resume garbage collection activities once the notices are retracted on behalf of the tax authorities, said Manjunatha Prasad, Commissioner, BBMP. But these protests by civic workers and the rift between the civic body and the contractors go beyond Bengaluru. New Delhi has also witnessed strikes by civic workers on repeated occasions and the core reasons remain the same of apathy shown by civic bodies towards these workers. Since March, the BBMP has been unable to ensure direct payment of wages to civic workers despite them continuously alleging that they are not receiving full wages. The BBMP’s taking over garbage management is an honest effort to ensure that contractors and middlemen no longer play a part in the transactions between the civic body and the workers. But till the transition happens smoothly , the BBMP must ensure that all civic workers receive their due wages. Failure to do this will only result in further strikes and hamper the garbage collection process, bringing the city’s waste management to a standstill.